What Do Asthma, Heart Disease And Cancer Have In Common? Maybe Childhood Trauma : NPR Ed Toxic stress in childhood can lead to a lifetime of health problems and, ultimately, a shorter life. Here's what schools can do to help. "It can tip a child's developmental trajectory and affect physiology. It can trigger chronic inflammation and hormonal changes that can last a lifetime. It can alter the way DNA is read and how cells replicate, and it can dramatically increase the risk for heart disease, stroke, cancer, diabetes — even Alzheimer's." In short, early stress can shorten your life. That's why, as a clinician, Burke Harris asks parents and guardians of new patients to fill out a short, confidential questionnaire. She wants to understand just how much stress these children have experienced. Are this child's parents or guardians separated or divorced? Is anyone in the home depressed or mentally ill? 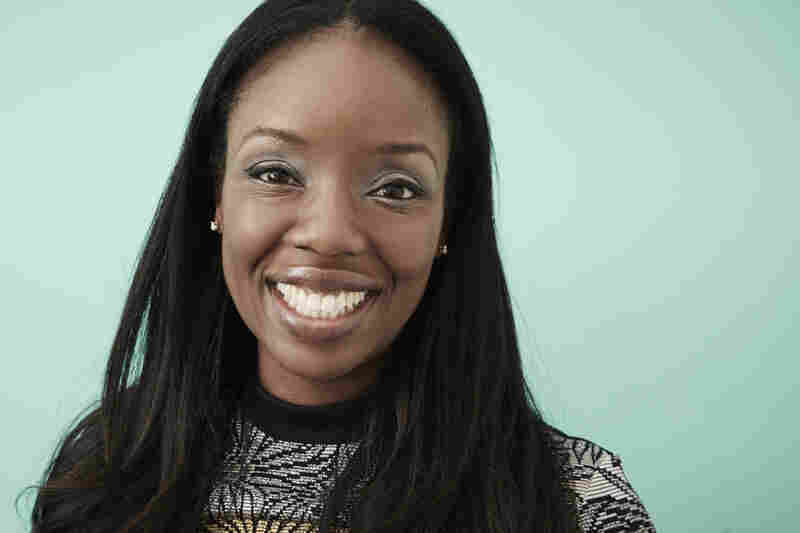 Dr. Nadine Burke Harris is the founder and CEO of the Center for Youth Wellness in San Francisco. Has the child seen or heard household members hurt or threaten each other? Has a household member sworn at, insulted, humiliated, or put down the child? The list goes on, including exposure to sexual abuse, drug or alcohol addiction in the house, neighborhood violence, food insecurity and housing instability. You can find out your own ACE score here. I recently spoke with Burke Harris about the impact this exposure can have on children and what can be done about it. Our interview has been edited for length and clarity. What are we talking about when we talk about toxic stress? 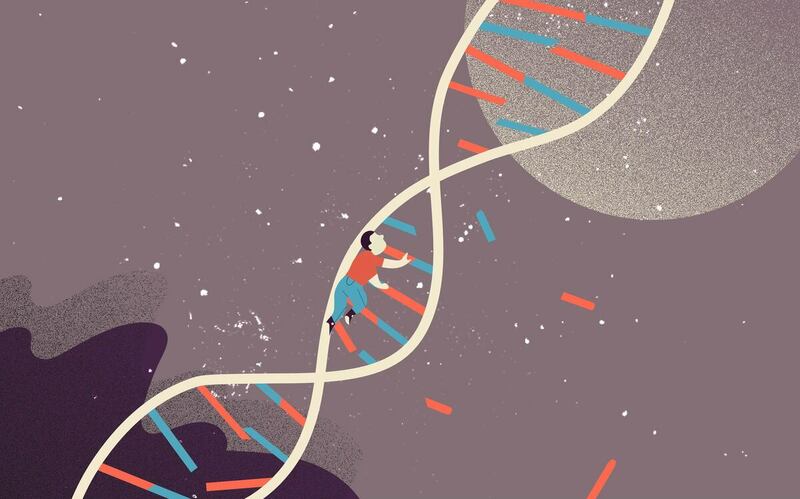 When kids are exposed to very high levels of chronic stress or adversity — or really intense and scary experiences — it actually changes the way their brains and bodies are wired. And that can lead to changes in brain development, changes in the development of the immune system, our hormonal systems, and even all the way down to the way our DNA is read and transcribed. And that is what can lead to this condition that's now known as toxic stress — and put folks at an increased risk of lifelong health problems. To help our readers understand toxic stress, I'd like you to explain how, exactly, the body responds to stress. In the book, you use an analogy that makes this really accessible: The bear. Absolutely. Imagine you're walking in the forest, and you see a bear, right? The first thing that happens is that the amygdala, which is our brain's alarm center, sounds the alarm. So, our brain sends a signal down to our adrenal gland, which makes adrenaline and other stress hormones, including cortisol, and so your heart begins to pound, your pupils dilate, your airways open up, and you are ready to either fight that bear or run from the bear. Yeah, but it makes a ton of sense — because, if you're getting ready to fight a bear, that bear may get his claws into you, and so you want your immune system to be primed to bring inflammation to stabilize the wound, right? All of this, it's absolutely brilliant. It makes total evolutionary sense. This is exactly what we need to be able to survive an encounter with a bear in the woods. And, if it happens once in a while, then that's okay. But the problem is: What happens when it occurs over and over and over again, especially when children's brains and bodies are just developing? What sorts of things in a child's life can lead to toxic stress? The real, seminal research that was done on this topic was the Adverse Childhood Experiences Study (ACEs) that was published in the '90s. And in that study the researchers at the Centers for Disease Control and Prevention and Kaiser Medical Center looked at 10 categories of adverse childhood experiences. Those include physical, emotional, and sexual abuse, physical and emotional neglect, or growing up in a household where a parent is mentally ill, substance-dependent, incarcerated, where there's parental separation or divorce, or where there's domestic violence. And these 10 adverse childhood experiences from the original research are the ones that were associated with huge increases in risk for things like heart disease, cancer, chronic obstructive pulmonary disease, even Alzheimer's. All of these long-term health problems. About two-thirds of the population have experienced at least one adverse childhood experience, and about 13 percent have experienced four or more, according to the CDC. Since that research was done, we're also now understanding that there may be other risk factors that can also activate a child's stress response and lead to changes in the way the brain and body function, and there's still more research happening with that. You can imagine other things that would be pretty scary for kids — things like having your parent deported or being a victim of discrimination or racial violence. What about the relationship between poverty and toxic stress? We can't raise kids in a bubble, right? And the key ingredient to protecting children from toxic stress is really this safe, stable, nurturing relationship from a loving caregiver who can act as a buffer. But it's much more difficult to act as a buffer when you're working three jobs to put food on the table. It's much more difficult to act as a buffer when you are dealing with existential threats. If you are a caregiver and you're living in a dangerous neighborhood, trying to get your kids to school and deal with the day-to-day trauma and drama of life, then physiologically your stress hormones are going to be pumping. Right? That's going to be much more difficult for you, and therefore, it's going to be much more difficult to be a buffer to that child. What we see is that poverty itself may have a very significant impact on, first, kids being exposed to adversity, and second, the probability that the kids who are exposed will go on to develop toxic stress, because of the impact of the stress of poverty on their caregiver. According to the Adverse Childhood Experiences study, the rougher your childhood, the higher your score is likely to be and the higher your risk for various health problems later. How do you begin to diagnose and treat toxic stress? I give a great example of this in the book, the story of Lila. She was a 3-year-old girl who came to see me, and her mom's only concern was that Lila wasn't growing well. She was itty-bitty, and I made the diagnosis of "failure to thrive." This was after we had already begun regular screening for adverse childhood experiences in our practice and developed our multidisciplinary intervention team. And so, as part of the regular routine physical exam for Lila, I also got her adverse childhood experiences score. It was a seven. A seven? That's extremely high. Yes, especially for a 3-year-old. It's very, very high. In terms of treatment, step one was just letting Lila's mom know what was going on, what my clinical suspicion was. So, once I got that ACE score, I was able to explain to her mom: "Hey, because of what your child has experienced, I believe her body is making more stress hormones than it should. And I think that's what's leading to the problems with your child's growth. And so this is what I'm going to recommend." And so we did, in this case, something called child-parent psychotherapy, when a therapist meets with both the child and the caregiver together. 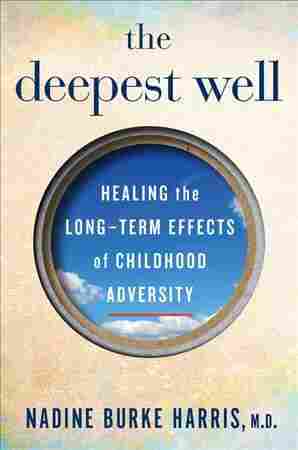 And it's really focused on the experience of trauma and adversity and how to help both the child and the caregiver overcome and develop tools for reducing the amount of stress that the child is exposed to. And what's totally nuts is that, when I did that — along with nutritional supplementation — within six months that child was back on the growth curve. That's one of the reasons I created the Center for Youth Wellness here in San Francisco, because our goal is not just to advance the standard of practice here in our center but to advance the standard of practice period. Our goal is that every pediatrician in the United States or — heck! — around the world for that matter is doing routine screening for adverse childhood experiences. Because one of the things that all of this science tells us is that, the No. 1 thing that makes a difference is early intervention. I want to ask you about schools. If you could design the ideal school support system for children with toxic stress, what would it look like? If you had that many kids in a class and they all had epilepsy, what would you be doing? It seems unfair, right? Because we're talking about a neurotoxin. In the book, I really tried to give an example of folks who are doing great work with this, specifically looking at what the team at Turnaround for Children in New York learned as they were designing interventions for schools. Initially, their thought was providing these supports in terms of, you know, social work and counselors for kids. And then they recognized that it wasn't 1 or 2 or 5 or 10 percent of the kids in the school that needed some kind of service or some kind of acknowledgment of the impact of adversity. It was the entire school. Sure, there may be 10 or 15 percent of kids who are so disruptive that they're coming to our attention, but, for most of the kids in that class, they are experiencing some significant dose of adversity. That required a totally different approach. And one of the things I talk about in the book is how Turnaround learns, like, "Hey, we need to train every single person that's interacting with these kids. Every teacher, every counselor — the person who is taking out the garbage at night. Every single person who is working in the school environment needs to understand what toxic stress looks like, how to identify it and how to support a child in de-escalating their stress response. What does that stress response look like in the classroom? One of the most obvious and easy to spot manifestations is behavioral problems. Difficulty with impulse control, difficulty with self-regulation, trouble with attention. From that standpoint, the symptoms often overlap with ADHD. A lot of my patients were being referred by teachers or principals or other folks in the school environment for ADHD. The challenge is, the treatment for ADHD is stimulants. But, if your underlying problem is an overactive stress response, stimulants may not be the appropriate treatment. Understanding how to get that stress response regulated, how to de-escalate it — that's something the team at Turnaround for Children did in their training of all of the folks in the school environment. They helped folks recognize, "OK, when a child is becoming disregulated, here are some of the things that you can do to help them re-engage and de-escalate the situation." The one thing that I just want to add is, that kid who has asthma all the time — that may also be a symptom [of trauma]. Or the kid who has the chronic headaches or the chronic tummy pain. Those may be symptoms that are less obvious and certainly less intrusive in the school environment, so they can be overlooked. This is why I feel like this science is so important because, as I mentioned, if you had a teacher who was trying to teach a class of 30 kids with epilepsy ... no way. Like, no way would you do that, right? That's not even doable. And yet we have teachers who are teaching in a class of 30 kids and, frankly, 20 of them might be dealing with toxic stress. Which helps explains why teacher attrition rates are so high in so many schools. It's crazy! For teachers, it's a completely uphill battle. It's completely unfair. I'm glad we're talking about this because, if we're talking about the school system alone trying to solve this problem, we're hosed. If we're talking about pediatricians alone trying to solve this problem, it's too big for us. Folks often ask me, like, "God, you're talking about two-thirds of the population exposed to adverse childhood experiences, and all of this science about what it does to the brain and body is so overwhelming! How do you deal with it?" But, knowing that the problem is so big, for me, it's like, "Oh shoot, we need a different set of tools. This is not a problem with, you know, Dashaun or Jorge or Sam or Sarah. This is a public health problem! And in fact this is a public health crisis." So guess what, schools you need help! Doctors offices, you're part of the solution! You know, if you're in early childhood, you're part of the solution. If you're in juvenile justice, you're part of the solution. We all need to be part of the solution. If we each take off our little piece, it's nuts how far we'll be able to go, together as a society, in terms of solving this problem. Definitely. This is not a poverty problem. This is not a race problem. This is a function of human biology. It is the way all of our bodies are wired. And now we can use this science to improve outcomes for everyone.